Wow I totally forgot! Today is Vishu! ellAvarkkum hRdayam nir̲aJJa viSu dina AshaMsakaL! What’s interesting is that the historically Hindu sphere is much bigger than the light shaded regions on that map. The Khmer empire extended much further north for example (and Java and the Philippines are off map). I always presumed it was Chola influence that spread Hinduism in southeast Asia, but evidently it wasn’t so simple. Could anyone enlighten? There was influence from the whole of the east coast of India. But the Pallavas and Cholas were the most influential. Pallavas descendants even became rulers of kingdoms in South East Asia, one such descendant was even brought back to India to rule the Pallava kingdom. Disproportionate Brahmin migration to south east Asia as proven by genetics. They must have been seen as magicians by the natives who gave their women to them. Yes this seems to be the true draviDanADu. But still we will certainly not give back modern-day vEMgi to the modern-day descendants of the cOZar lol. Sometimes I wonder how did those South Indian immigrants into Sri Lanka just want to keep their own space. i.e just defend the little area with no pan Asia claims of homelands cultural diffusion. Another question, I wonder is what Sri Lankan Tamils claim to be “unique” Sri Lankan Tamil culture. I am happy for Dravidian culture anywhere, so long as it stays out of Sri Lanka. sure we might borrow some odds and ends. What I meant was Sri Lanka/Jaffna Tamil culture does not appear to be unique. i.e. quite different from Tamil Nadu or Kerala culture, say architecture. No question, Sinhalese culture, Architecture is a continuum/rhymes with India. However, it has evolved/changed to be clearly different. Sri Lankan Tamils have unique dialects of Tamil which retains certain archaisms, and an accent closer to Malayalam (West coast Tamil). They also have strong Kerala and Sinhala influences to their culture (their cuisine is closer to Sinhalese/Kerala than Tamil Nadu). It is not the same as Tamil Nadu. Although fundamentally they are another variant of Dravidian Hindu culture (they share far more with South India culturally than what differs). Your flippant remark may have some takers among some historians. Arnold Toynbee gives Hindu civilization which arose about 800 AD as a successor to Indic civilization. He says Hindu civ rose in south India and south east Asia. And like many academics with 19th century race theories echoing in their head , he call Hindu civ made by Dravidian race. I take such assertions , even coming from Toynbee, with a pinch of salt. 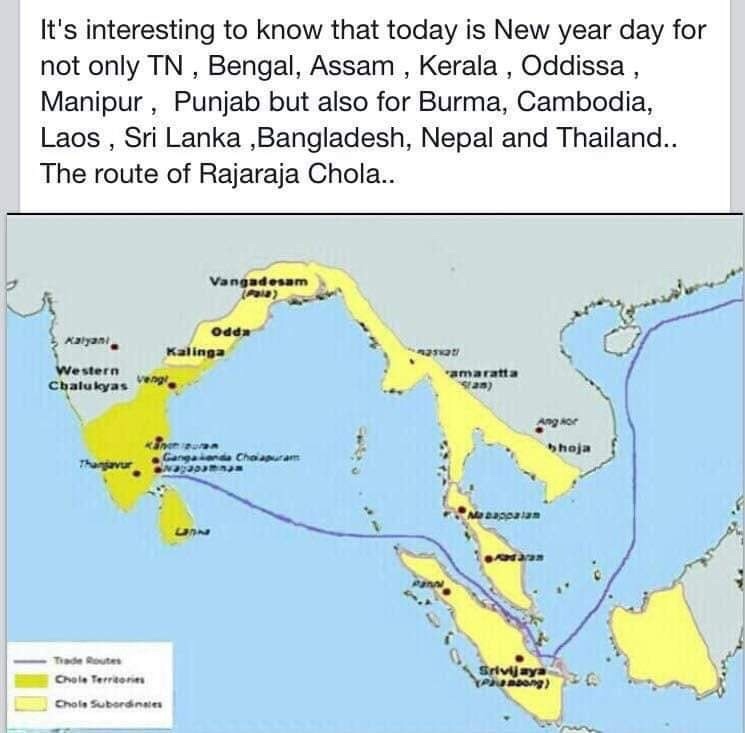 Really the route of Rajaraja Chola approx 10 AD. 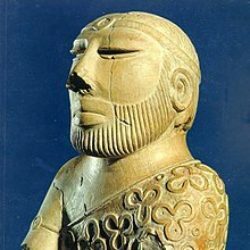 Any thoughts that is the area with the LEAST Indo Aryan influence. Out here in Sri Lanka may claiming its Sinhala (Buddhist) New Year. Tamils claiming the Sinhala (Buddhists) have appropriated the Tamil Hindu festival. 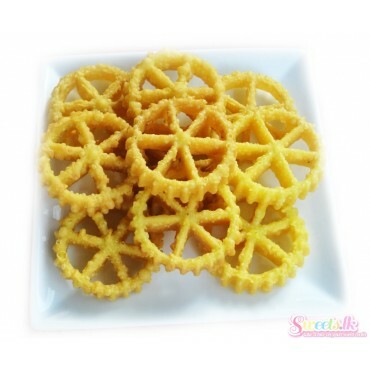 One of the traditional eats is Kokis, (Cookies). Fried wheat dough. I would think Aluwaa is more traditional, rice flour, sweet with black pepper. A sweet dessert with black pepper, very traditional Sri Lanka. Hot and Sweet. Only outlier here among Hindu/Indic cultures seem to be the Gujaratis. I wonder if this is down to Parsi influence or a different (absent ?) agricultural system. Looks like everybody here forgot the “Sri Rama Navami” birthday of Lord Rama. Arguably the most important festival of Hindus. one thing to remember is that for pre-modern societies these ‘shaded area’ maps of control are very stylized. the reality is that rulers had very loose and localized control, often around strongpoints and cities. most of the populace under hegemony may never have been directly taxes, or encountered agents of the power in question. in contrast, the cultural influence of indic civilization was quite widespread. it definitely reached the modern phllippines, whose languages have indic borrowings, and some faint skein of hinduism seems to have shown up due to various discovered, before the arrival of islam, which likely would have converted the whole archipelago if the spanish had not arrived. True. Filipinos keep telling me the same thing. However I have found no mention of the Philippines in the ancient texts. There is mention of Java, Sumatra, Bali, Malaysia, Thailand, Cambodia and arguably Vietnam. A deep study of Filipinino ancient culture/civilization needs to be done. 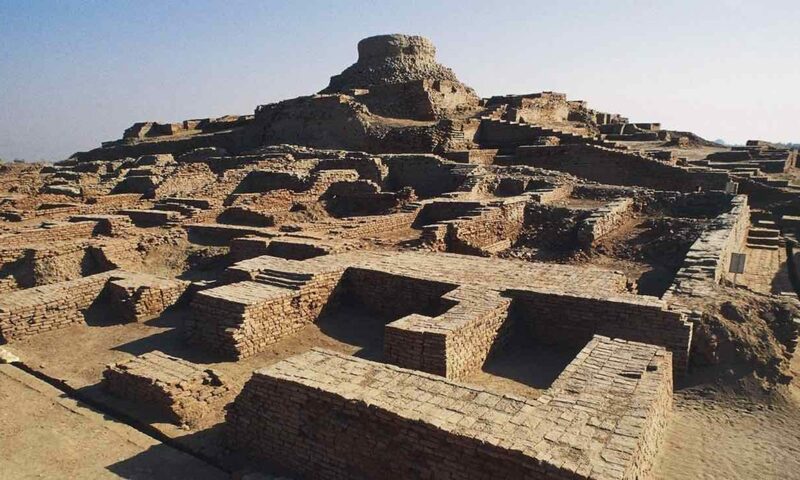 Most Indologists and archaeologists do not have a deep understanding of religion, spirituality, eastern philosophy. Which prevents them from intelligently interpreting data. the reason philippines is not mentioned is probably due to the fact that the ‘indian’ influence was through indianized austronesian kingdoms, not indians from india. Again agreed I suspect (obviously I don’t know). I am referring to eastern philosophy rather than India. My hope is that the study of Gunung Padang might unlock ancient Arya history. Of course the study of Gunung Padang might alternatively or simultaneously unlock another now lost culture too. Which would be just as interesting. Carbon samples from Gunung Padang have been dated between 13 K and 28 K years ago, depending on where they were taken. What is the oldest record of homo sapiens being in the Philippines? Wow. Please share more when you get the time. Andhra and karnAtakA don’t follow the same new year, so do they become part of cowbelt now?